As we all know, the first batch of downloadable content for The Legend of Zelda: Breath of the Wild just hit, and has gotten many of us back into the world of Hyrule. The first pack of DLC seems pretty cool; the trials, a hard mode, and a better way to find all the damn Korok seeds, but I have to admit, I haven’t bought it yet. All of those features seem pretty neat, but the only thing that motivates me to go back into a video game world and spend more money is if the story is getting expanded. 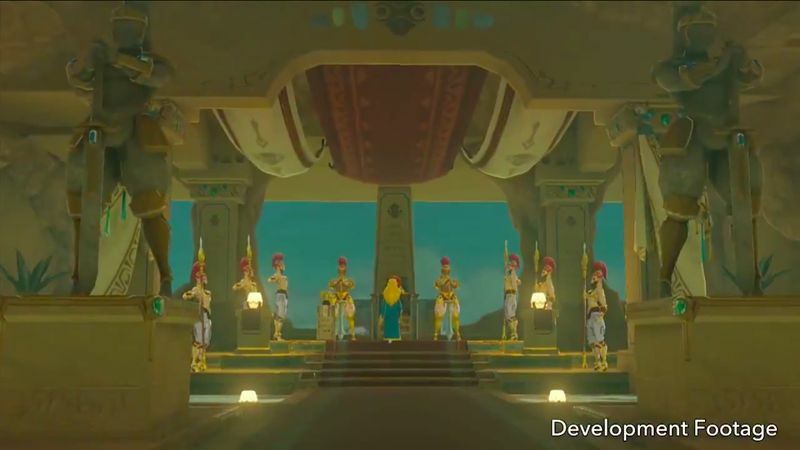 Luckily, along with the release of the Master Trials, we got the tiniest glimpse of the second batch of DLC for Breath of the Wild: The Champions Ballad. 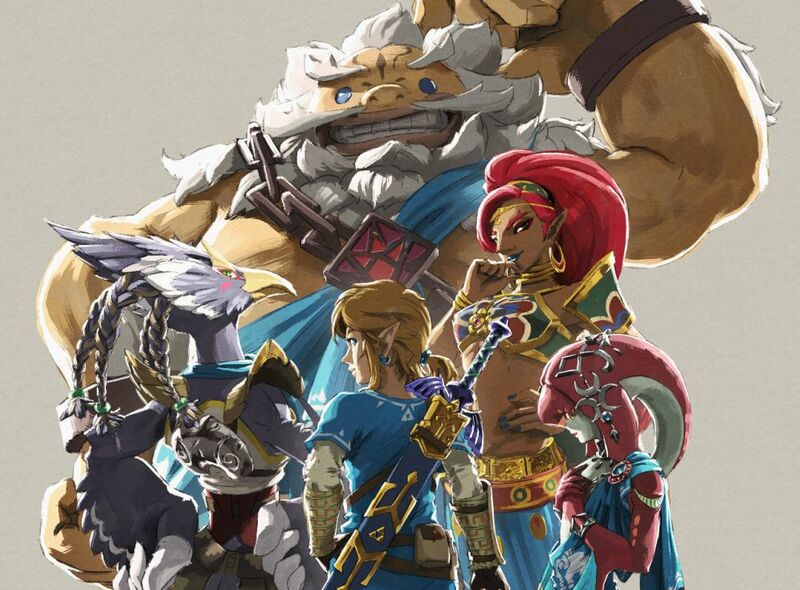 Although it isn’t set to launch until Winter 2017, The Champions Ballad looks to be almost a sequel/prequel thing to Breath of the Wild, as the story takes place after Ganon is defeated and will have a heavy focus on Zelda, but will also obviously be exploring deeply into the Champions of the past seeing as the title is named after them and the amiibo of each of the four would suggest that they will have a pivotal role to play in this chapter. Although I’m a little disappointed that you’ll play strictly as Link and not any of the Champions or Zelda herself, I still can’t wait for the DLC to come out so that it can hopefully answer a few questions and clear up some story issues I had. Anyone following my posts on Zelda Informer knows that while I loved Breath of the Wild, I did take some issue with its story. As I’ve written previously, one of the golden rules of story telling is ‘show, don’t tell’ and unfortunately, Breath of the Wild tells far more than it shows. The Champions Ballad will be Zelda’s chance to remedy the following issues in its narrative. Let’s take a look at what should be a priority. How the Hell did Calamity Ganon take control of all the Guardians and Divine Beasts? Seriously, am I the only one hung up on this?? I just can’t wrap my head around why, if Ganon could just magically commandeer all of these wicked pieces of machinery at will, he was ever defeated in the first place?? There must be some kind of explanation as to how Ganon could have seized all of these Guardians. I feel like this is the single biggest loose end in Breath of the Wild, and I’m hoping among hope that we get a definitive answer. Showing the Champions last stand. Well, thanks for the heads up, but when you simply have four people telling you the same thing, that they died but can still talk to you, it doesn’t have any emotional weight to it. What we needed to see was even a brief montage of the Champions being overcome by the Blights. Think Star Wars: Rogue One, where at the end, we can see the team succumbing to the impossible odds ahead of them and dying with purpose and dignity. It’s not too late to have that moment with the Champions, and seeing that this DLC pack is all about them, I’m hoping that they get the proper send off that they deserve. Give hope for the future. Show the new Champions together. This was a scene I was surprised we never got in Breath of the Wild. After destroying the Calamity Ganon and returning peace to the land of Hyrule, Princess Zelda cautions Link that they must be ready for anything and anticipate upcoming threats. A really cool scene would have been to show the new roster of Champions — think that last scene in Avengers: Age of Ultron where Captain America tells his new roster of Avengers to assemble. 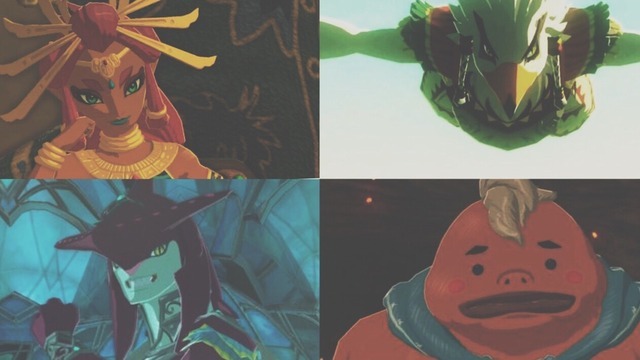 We could have had that wicked shot of Sidon, Riju, Teba, and Yunobo lined up with Princess Zelda and Link, Blue Champion tunics blazing in the wind, ready to go forth and stop anyone else getting any ideas about taking over Hyrule. Seeing that this takes place after the final battle, I would imagine a scene like this is probably forthcoming. More so, I hope the temple that will be packed in with The Champions Ballad will have you make use of all of the Champions special skills and talents in order to clear it. There are tons of little things that I’m hoping the DLC clears up for us, but ultimately, perhaps some things are better off left unsaid. 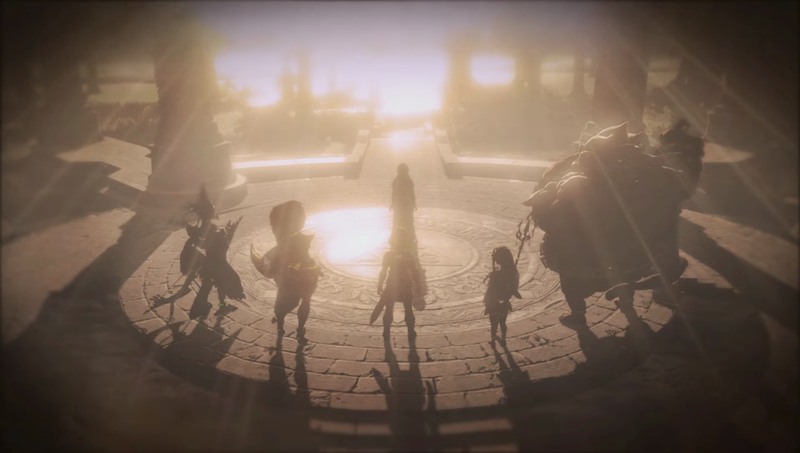 What are you guys hoping to see in The Champions Ballad? Any lingering questions that keep you up at night? And seriously, HOW DID GANON DO IT?? Let us know what your wishlist is for story details for The Champions Ballad in the comments below! Andy Spiteri is a Senior Editor at Zelda Informer. To hear him rant and rave about Calamity Ganon’s magic powers at all times, follow him on Twitter and check out his blog here.